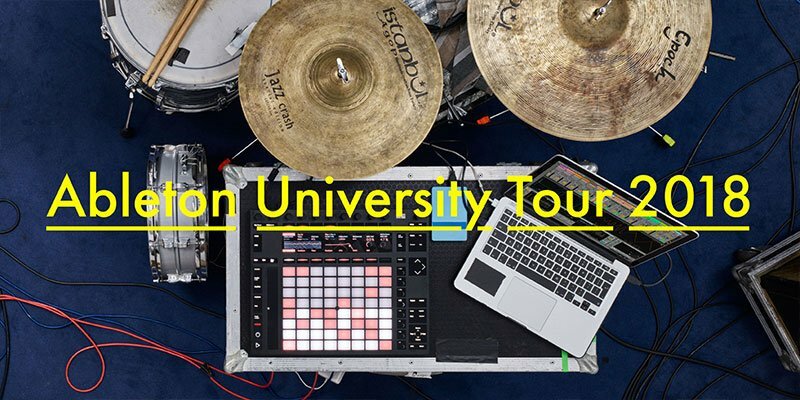 From September 2018 through to early 2019, we’ll be visiting campuses across the world for our Ableton University Tour – a series of free presentations, workshops and performances designed to inform and inspire music makers of all levels. In North America, the daytime events are open to students, faculty and staff. The evening program is open to the public for presentations and performances by Ableton Certified Trainers and local artists. Early arrivers to the evening events will be welcomed with appetizers, swag and a short movie screening.